Tamil Nadu, one of the fourth Dravidian states, is the 11th largest state in India. It is nestled between the Bay of Bengal and the Indian Peninsula. This fascinating city may lack in size, but it gains in its profusion of natural resources. The state has an abundance of flora and fauna. Tamil Nadu is also the state of the oldest civilizations of India. The place has seen the rule of various dynasties like the Chola, Pandya, Chera, which ruled the region between 300 BC and 300 AD. Tamil Nadu is an attractive tourist destination. It is sure to leave you astound with its rich culture, exotic places and magnificent architecture. It is renowned for its temples, tranquil hill stations, gorgeous beaches, national park, cuisine and, of course, the scenic beauty. It also has a tradition of dance, music and fine arts. Tamil Nadu is rich in both cultural and natural aspects, making it a tourist a haven. In this article, we will tell you ten places that you must visit in Tamil Nadu. 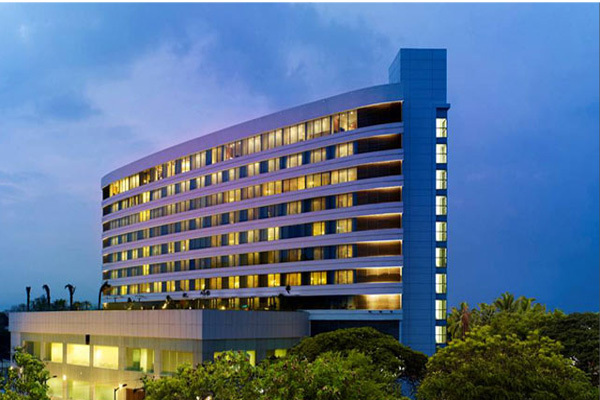 Earlier known as Madras, Chennai is an important tourist attraction in Tamil Nadu. It is a sprawling city with deep-rooted traditions. 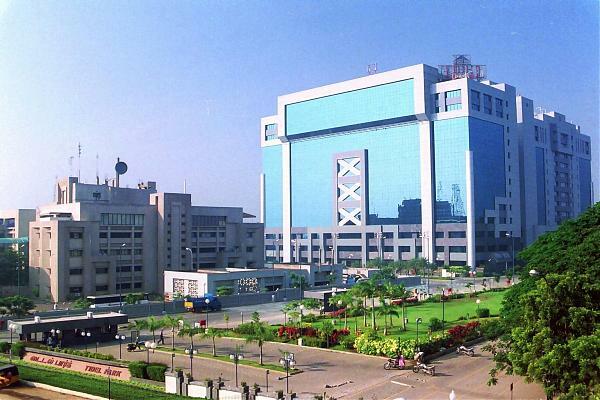 Reputed as the automobile capital of India, Chennai is the third largest industrial and commercial hub of India. It offers a perfect blend of cosmopolitan lifestyle and traditional culture. Just near the beach, you will find the famous St. George and St. Mary’s church. The city has more than 20 heritage sites, including the Museums, bookshops, railway stations, cinema halls and many more. Marina Beach is a perfect place to get the tranquil feel. You need to take a leave of 2 to 3 days to explore this city properly. You will notice the British influence on Chennai on its Indo-Saracenic styled buildings. Mahabalipuram is an attractive tourist destination in Tamil Nadu. The place is famous for its ancient and cultural heritage. The name Mahabalipuram comes from the word ‘myth’. It is said that a cruel and arrogant king named Mahabali, who was later killed by Lord Vishnu, ruled the place. Hence, the name is named after the King Mahabali. 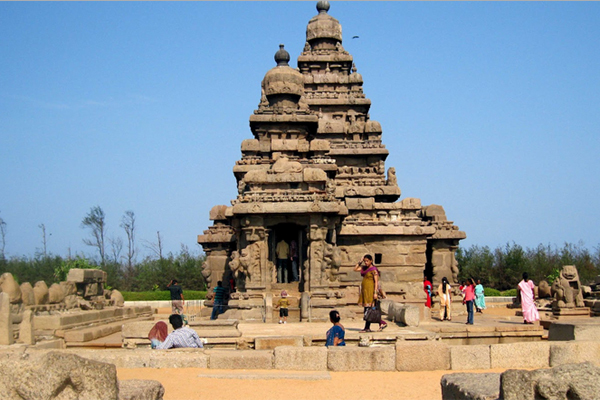 Mahabalipuram is renowned for its sculptures, historical monuments, tradition and culture. Its unique paintings and sculptures reflect the skill the artisans that the era possessed. Mahabalipuram is not just renowned for its architecture, but also its silver sand beaches and casuarina trees. One of the most prominent festivals of Mahabalipuram is the Mamallapuram Dance Festival, which is hosted by the Department of Tourism. Various dance forms are like Odissi, Kathakali, Kuchipudi and Bharatanatyam are performed here. Mahabalipuram is a small town so you can explore it by either car or bike. 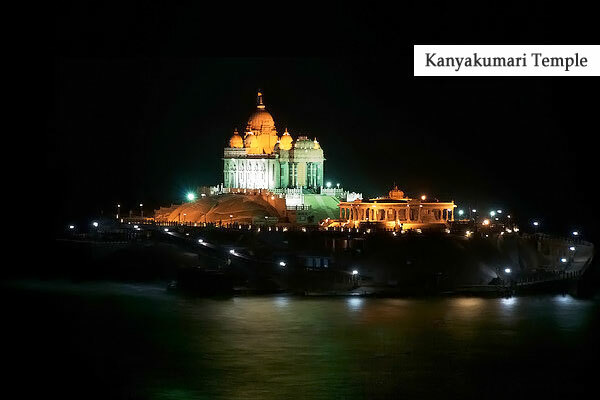 Kanyakumari is the southernmost tip of the Indian peninsula. It was formerly known as Cape Comorin. It is one of the few places in the world from where you could view both sunrise and sunset. The town of Kanyakumari was an important site during the reign of Chera, Pandya and Chera dynasty. It is famous for its culture and hospitable people. The temples in Kanyakumari are built in traditional Dravidian style. Do not forget to feast on the South Indian delicacies served here. It will tantalize your taste buds. The Swami Vivekananda Memorial and the stunning statue of Tamil poet Thiruvalluvar are the distinguishing sites of this town. Madurai, dubbed as the Temple City, is one of the oldest inhabited cities in India. The city is mentioned in Arthashastra by Kautilya and the Megasthenese. 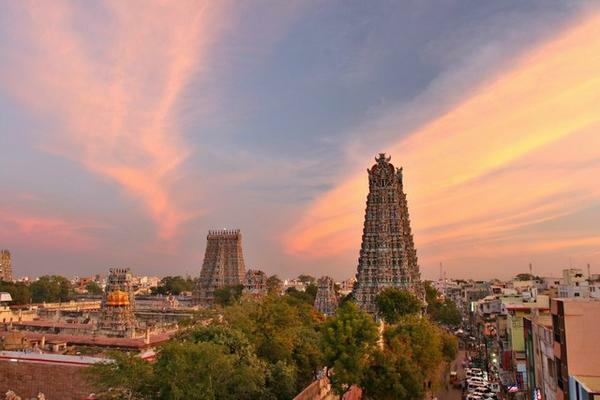 Madurai was initially ruled by the Kalabhras and later by many other dynasties until the British took control of it made it a part of the Madras Presidency. The city also holds significance in the India’s struggle for independence. The city was home to freedom fighters like Mohammad Ismail Sahib, NMR Subaraman and Meer Ibrahim Sahib. Madurai is also a religiously tolerant country. You will find important religious structures belonging to Islam, Hinduism and Christianity. The Gandhi Museum is a popular tourist attraction of Madurai, along with Meenakshi-Sundareswara Temple, St. Mary’s Cathedral Church, and Goripalayam Dargah. Vellore, also known as the Fort City, is located on the banks of Palar River. Just like most of the Dravidian cities, Vellore was under the rule of various kingdoms and dynasties. The name Vellore comes from its Monolithic fort that was built in the 16th century. Now a quiet city, Vellore was once no less than a battleground. It has witnessed many wars. In fact, the name Vellore also means the ‘’City of Spears’. 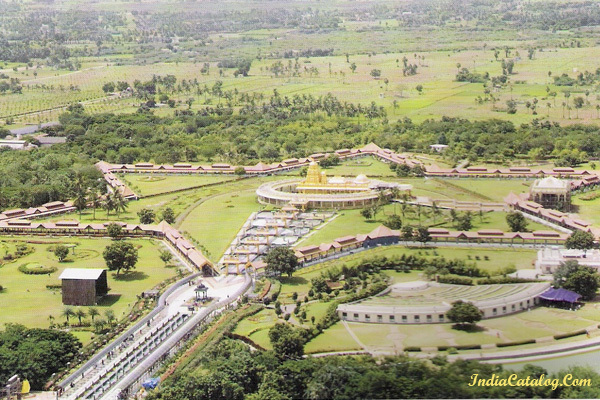 The famous Vellore Fort was considered the most powerful fortress in its time. The fort housed a mosque, a church, a temple and some of the magnificent carvings. The fort is also historically significant. It is said to have given shelter to Tipu Sultan’s family during the British rule. 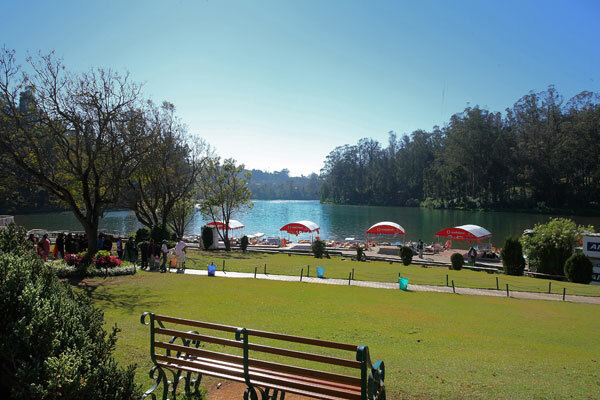 Ooty, short form for Ootacamund, is one of the most visited hill stations in India. The place is located in the heart of the Nilgiri Mountains. It is a great place to escape the scorching summer heat. Ooty is famed for the for its rare kurunji flower. The primary source of income of Ooty’s is tourism. Despite being located in the tropical region of India, Ooty has a pleasant weather with chilly nights. The best time to visit Ooty is from December to February. The lakes, gardens, valleys and mountains are incredible places to visit here. The Summer Flower Festival help at the Botanical Garden is the highlight of this location. Also dubbed as the “City of a Thousand Temples”, Kanchipuram is located on the shores of the Vegavathy River. It was once the capital of the Pallava dynasty. It has references in texts dating back to the Maurya Period. It was the educational center of ancient times and was known as the place of learning. Kanchipuram is also known for its medicinal herbs and saris. 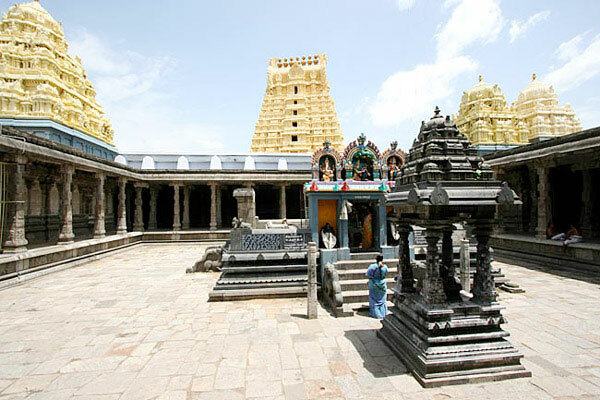 Kanchipuram is rich in both natural and fabricated attractions. Coimbatore, also termed as the ‘Manchester of India’, is the second largest city in Tamil Nadu. It was ruled by Tipu Sultan until the 18th century and witness growth in many sectors. It was later seized by the British until the independence. Coimbatore is located on the bank of the Noyyal River. The waterfalls surrounding the town will refresh your senses. The city also prides itself in the Siruvani River, a tributary of the River Kaveri. The river has a perfect mix of minerals that make it the second tastiest water in the world after the Nile River. The zoos and parks add to its overall appeal. 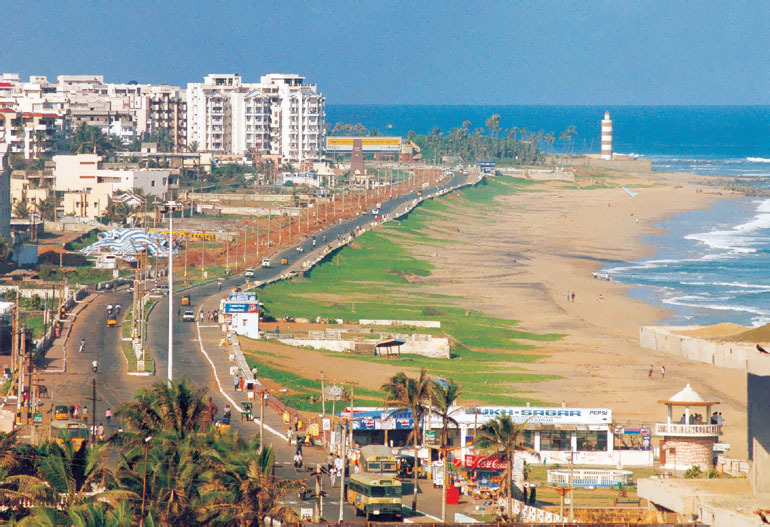 If you want to take a break from India to enjoy the French culture, then you must head to Pondicherry. It is a union territory located on the east coast of Tamil Nadu. It is not the kind of place that you would find in India. Pondicherry was a former 18th century French colony, and you will still find a distinct French flavor in its attractions. Sri Aurobindo Ashram is the top attraction of this place. It attracts plenty of spiritual seekers from all over the world. 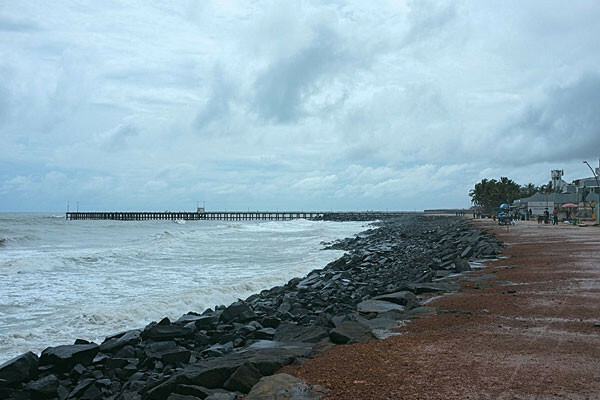 The most happening parts of Pondicherry are the Promenade and The French Quarter. Rameshwaram is the peaceful pilgrim town in the Ramanathapuram district of Tamil Nadu. It is considered one of the holiest places in India. Rameshwaram is a popular destination for both Vaishnavaites and Shaivites. People visit here to bathe in the holy water and purify their karma. 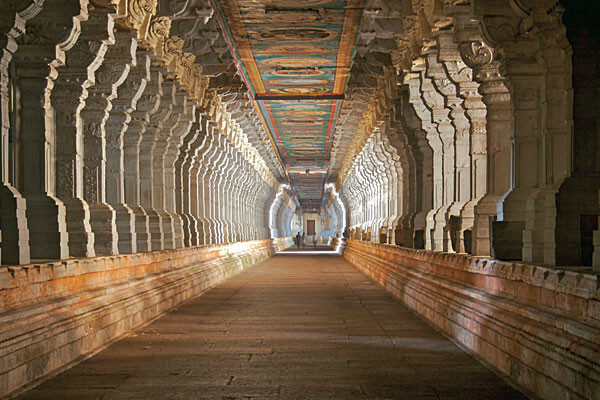 The Ramanathaswamy Temple of Rameshwaram is the epitome of the Dravidian style of architecture. Adam Bridge is a remote attraction of this place. This chain of sandbanks and reefs connect India with Sri Lanka. That’s all from us! Are you aware of some cool places to visit in Tamil Nadu? Then tell us in the comment section.